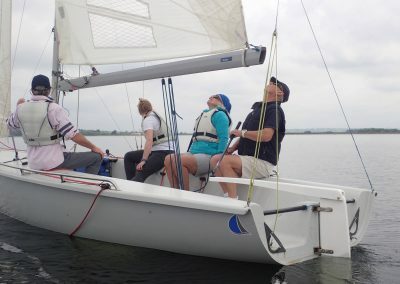 Draycote Water Sailing Cub operate 2 race-ready 20 foot Sport Boats (SB20’s) for groups of 3 to 24 to get out on the water and enjoy the sights and sounds of Draycote Water. 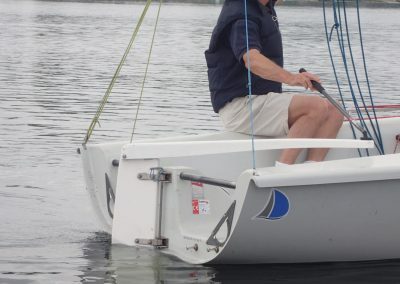 The boats are large, spacious and open keel boats meaning they lean over slightly but cannot capsize making them superb for cruising or racing. 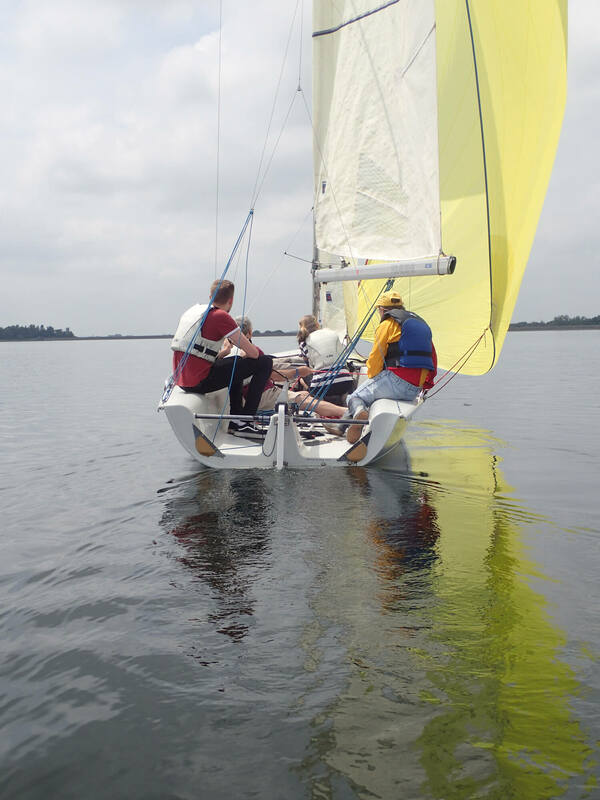 Each boat can take up to 6 adults plus a qualified skipper to show you around, teach you the essentials of sailing and some basic racing tactics. 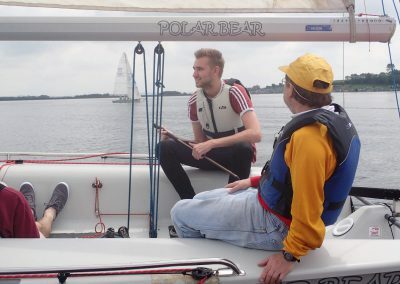 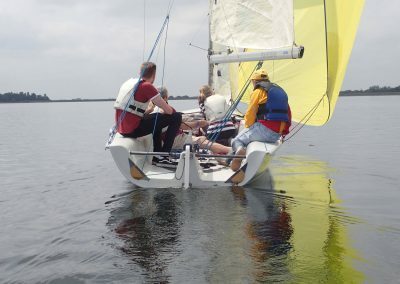 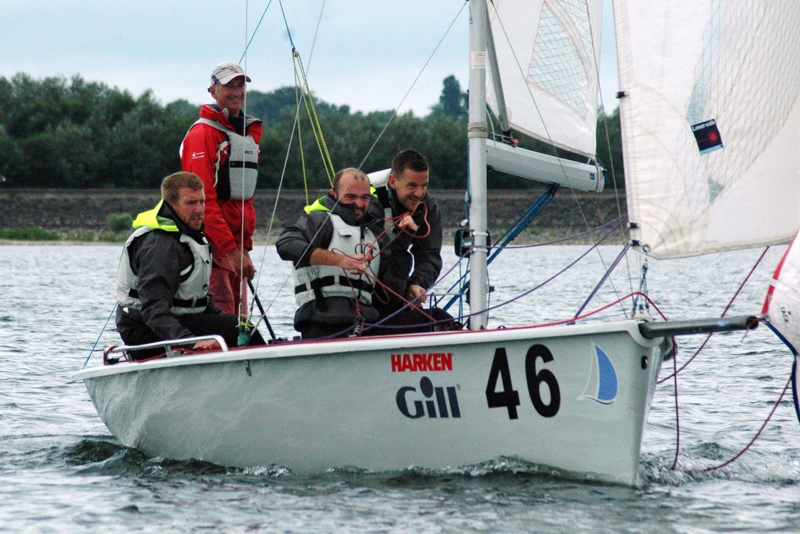 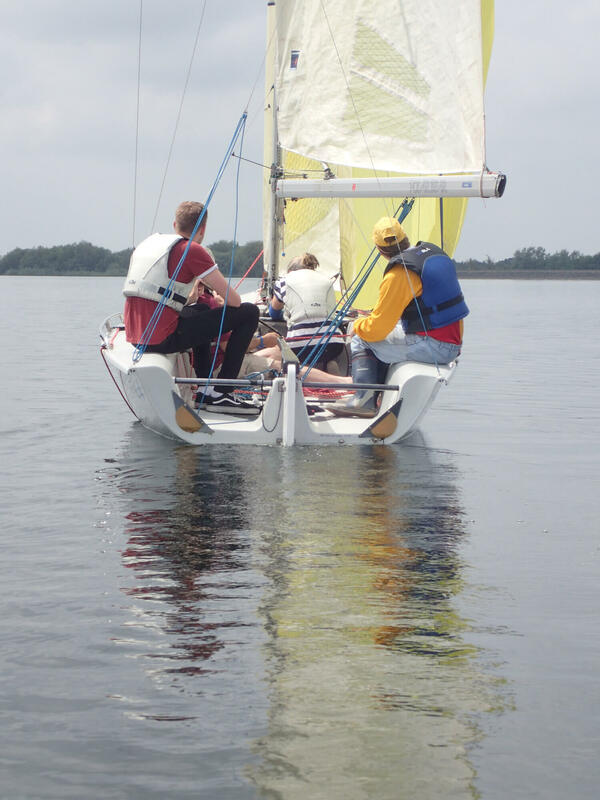 Sailing sessions are flexible from 1 to 3 hours and are tailored to suit the needs of the group. 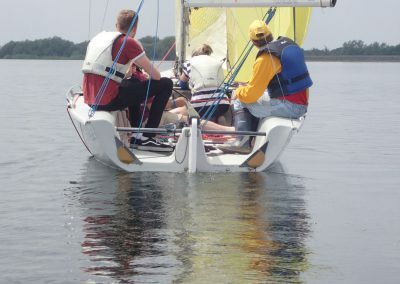 Whether you are looking for a competitive team racing away day, or your team will be working on improving key skills to take back to the office. 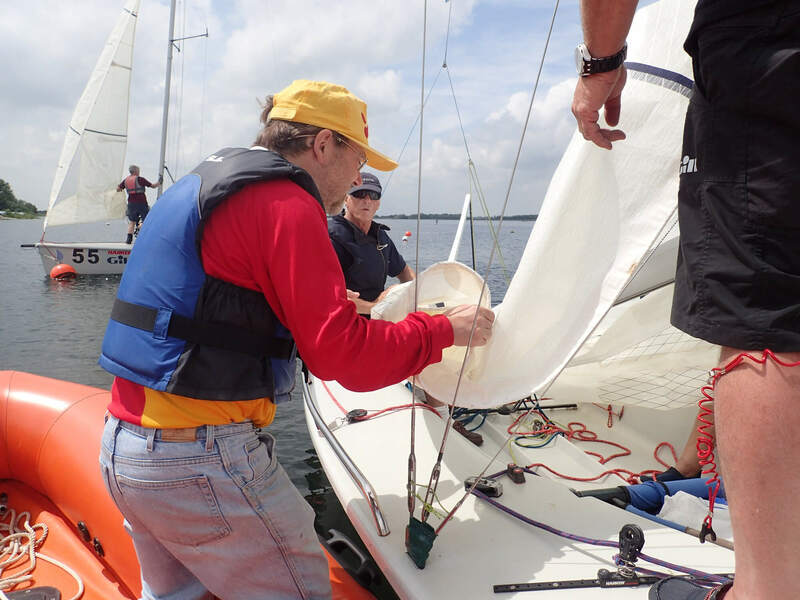 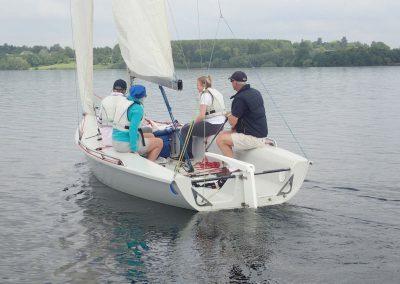 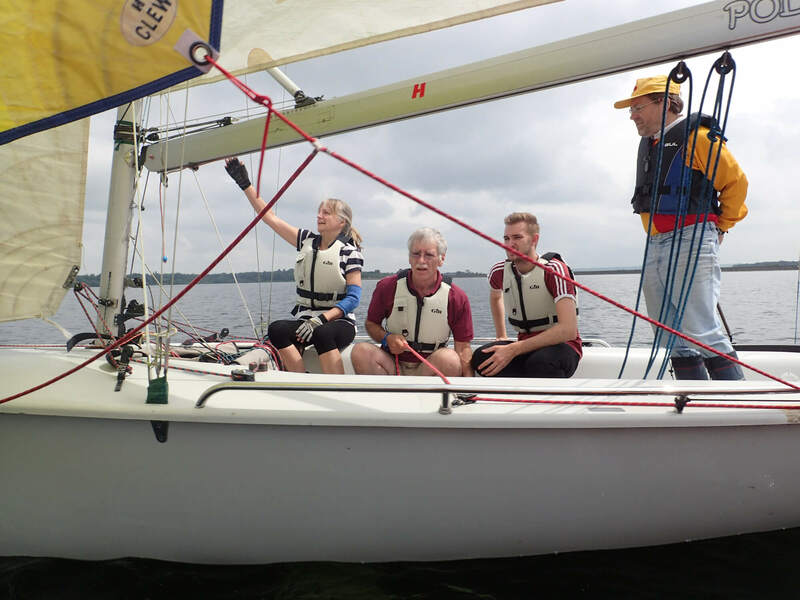 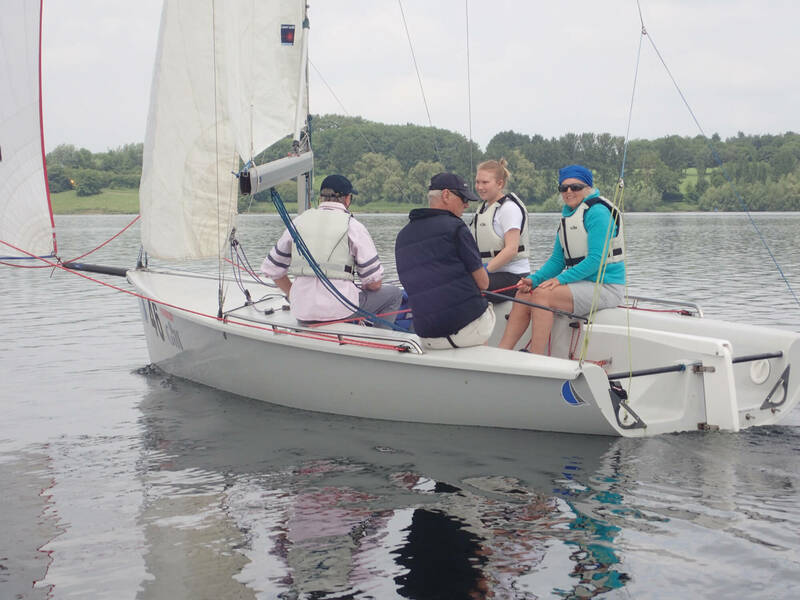 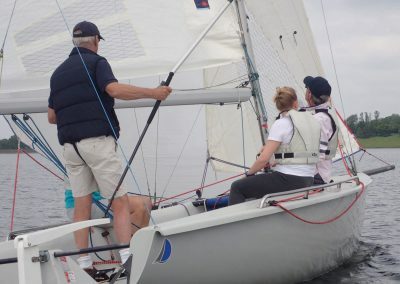 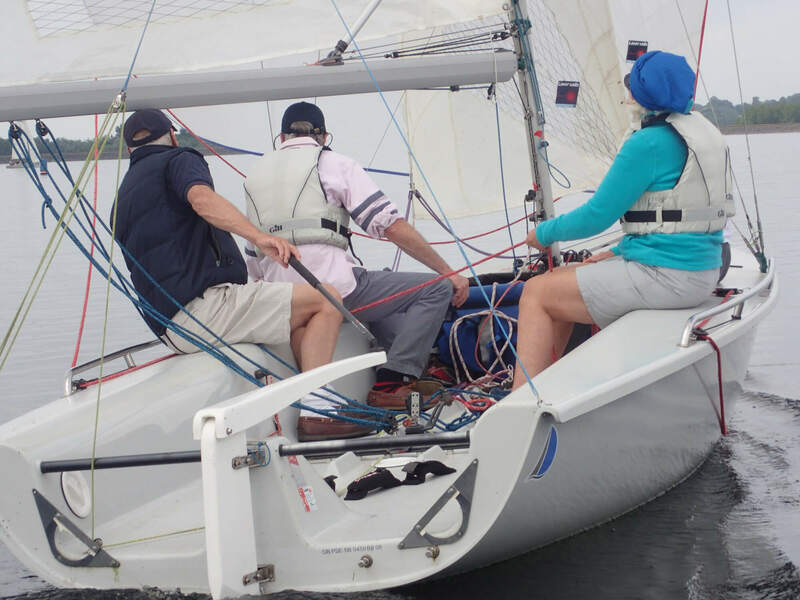 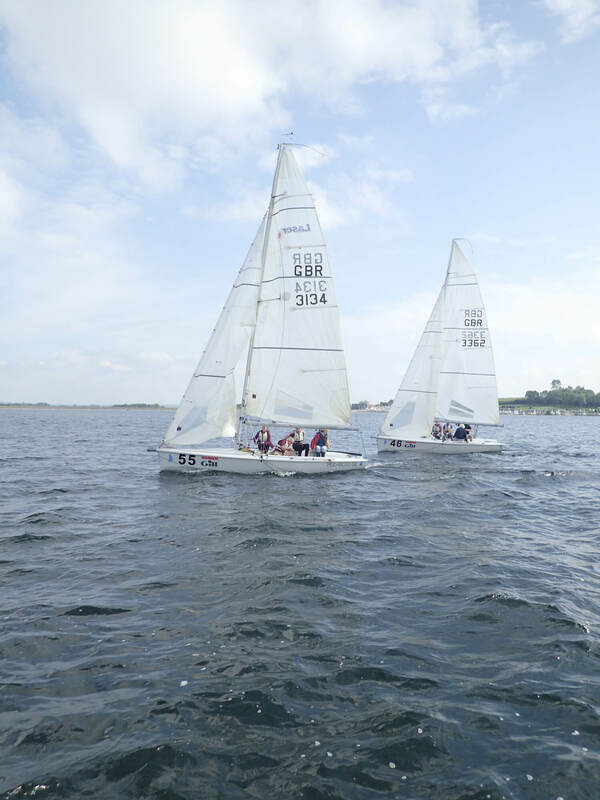 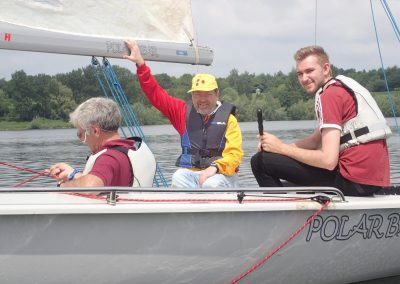 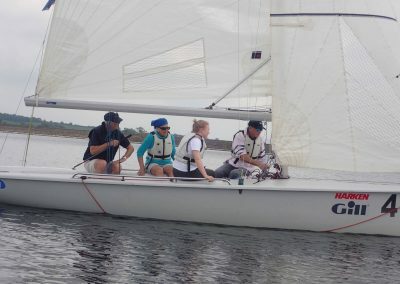 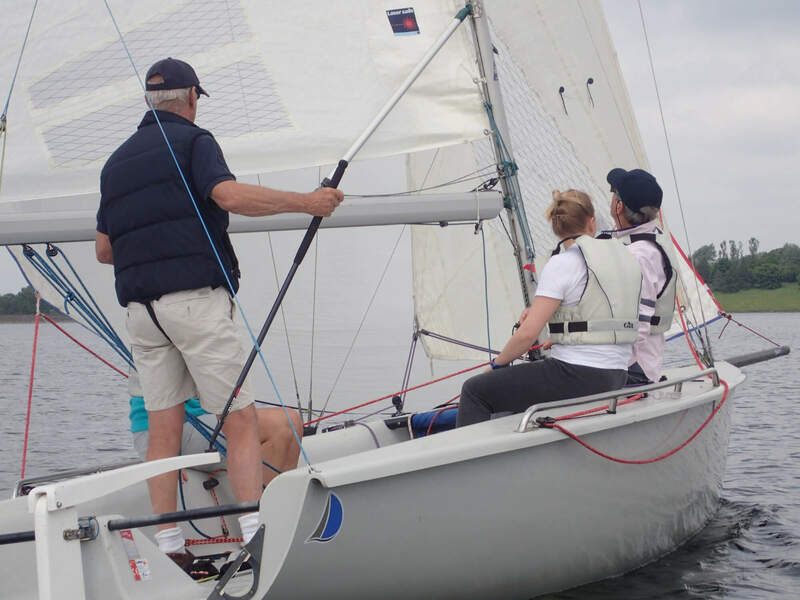 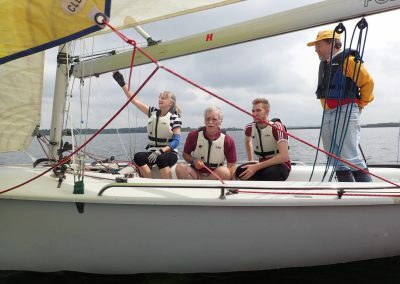 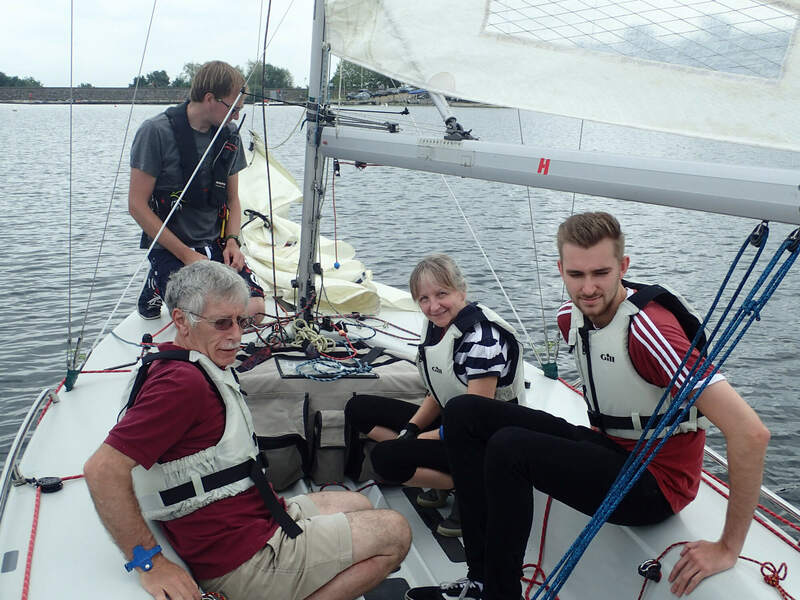 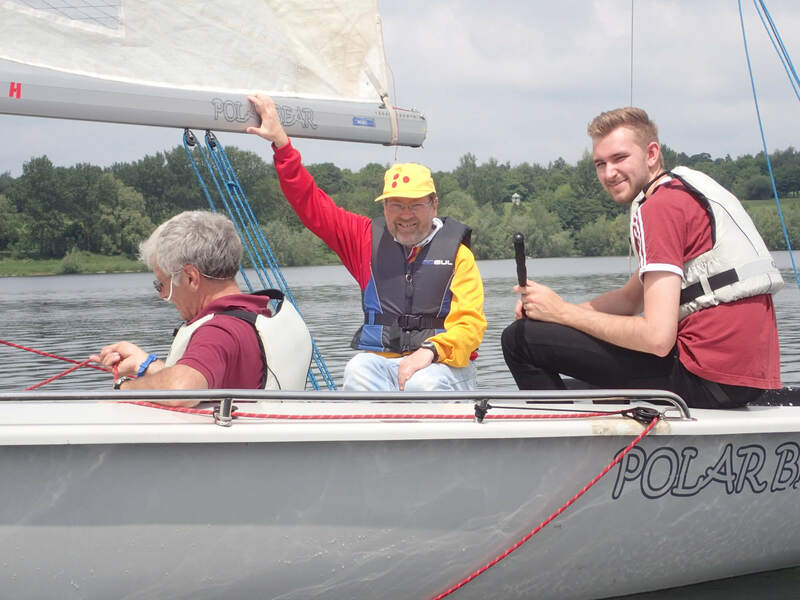 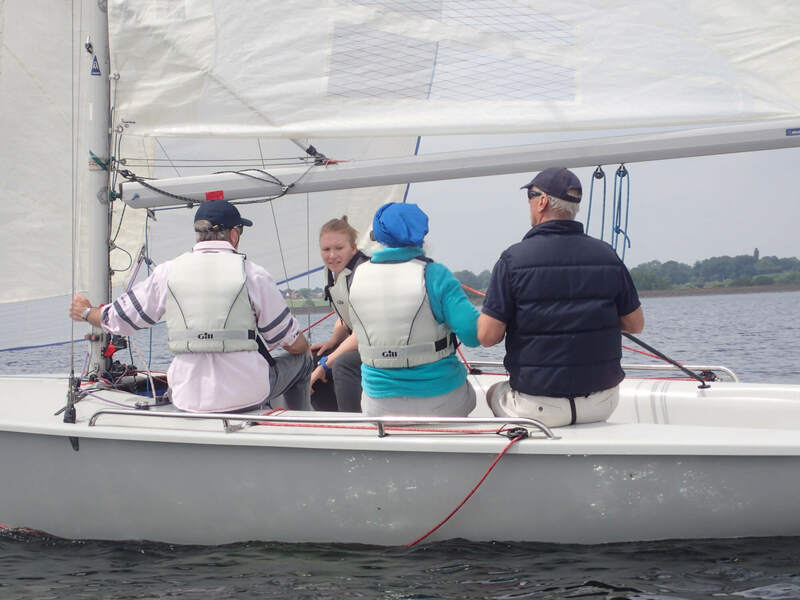 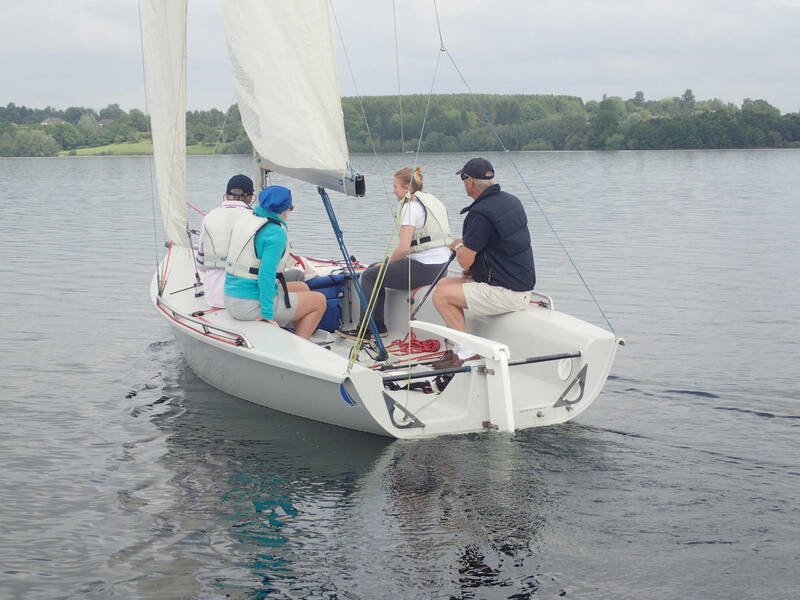 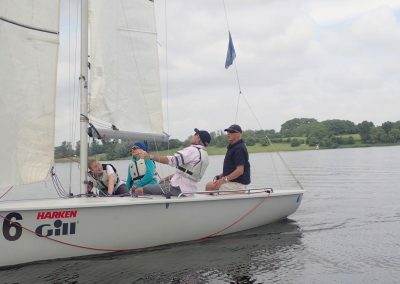 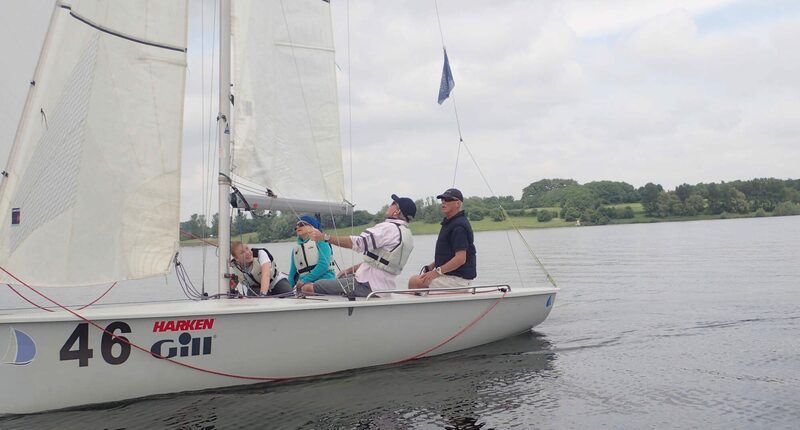 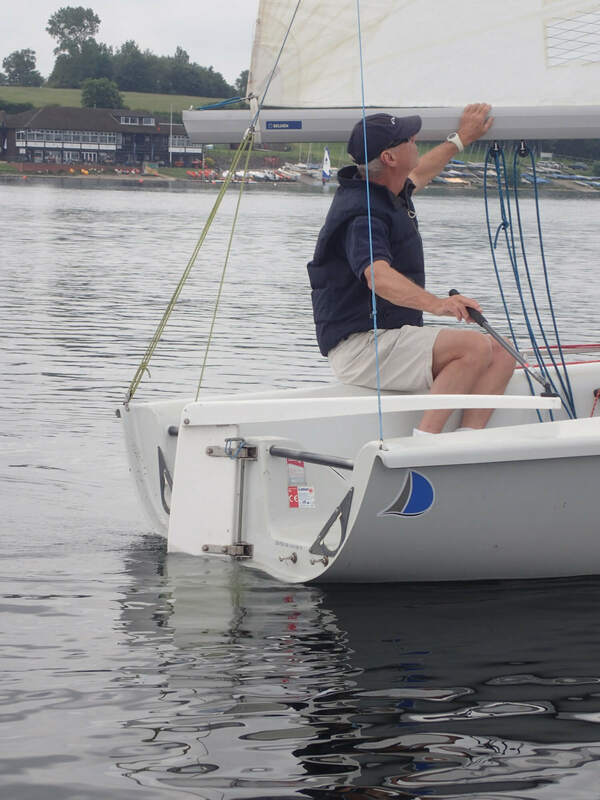 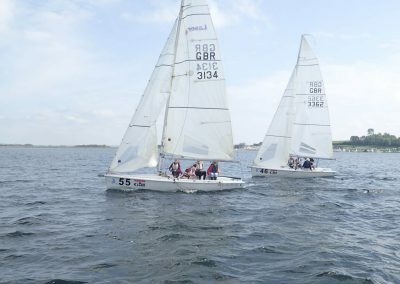 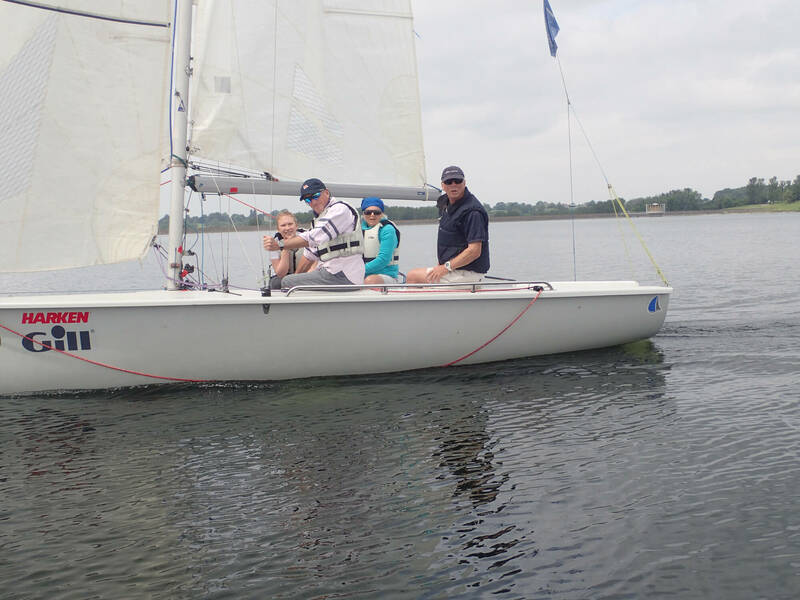 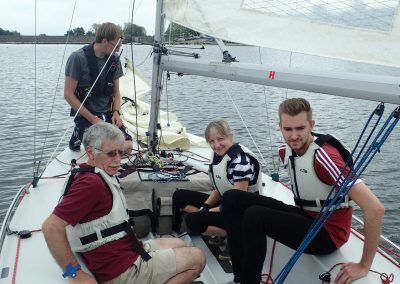 Sailing is an ideal activity to work on your team skills with communication, team co-ordination and strategic thinking all being crucial elements to successful sailing. Plus, with the possibility of wind and race changes, your team will have to be reactive to new scenarios and adjust accordingly. We’ll group you into teams and have 2 teams sailing against each other for 20 minutes whilst the other team(s) run the racing from a powerboat and other teams can have a quick on-shore rest. 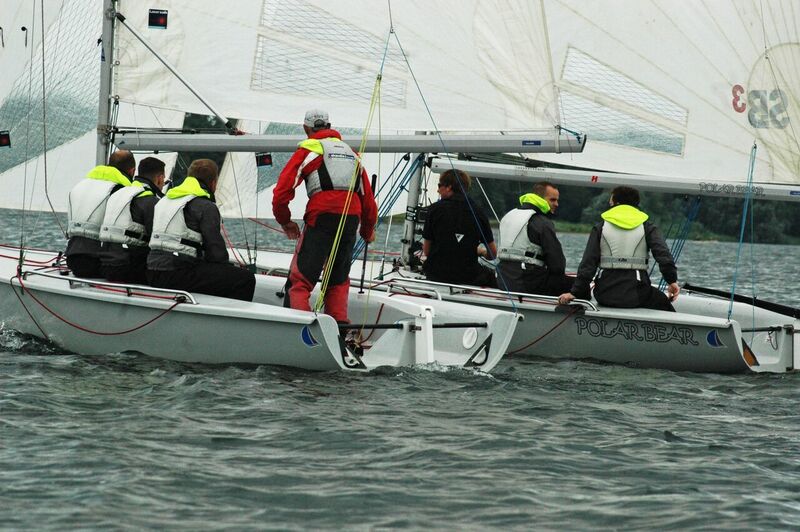 Breaking the sailing into chunks keeps everyone on their toes! 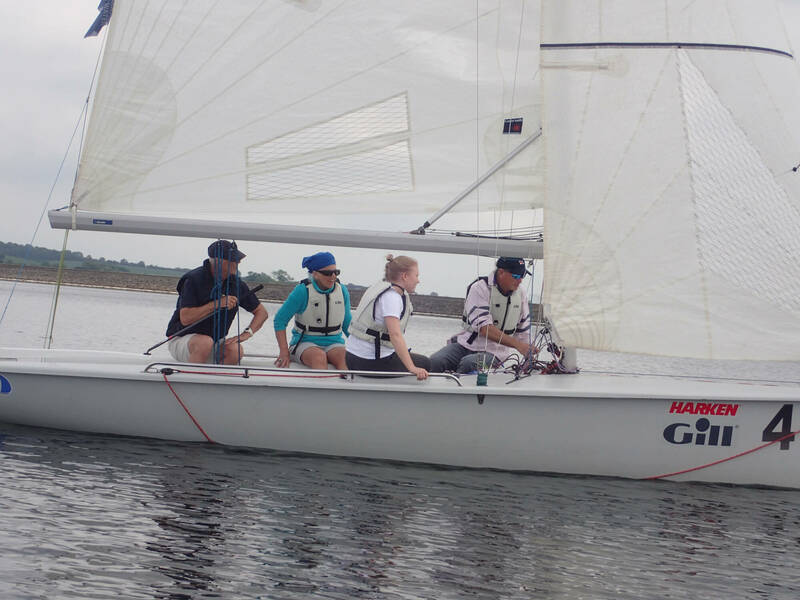 We provide top quality Gill waterproofs and life jackets, as worn on racing yachts, and there is no need for wetsuits to be worn. 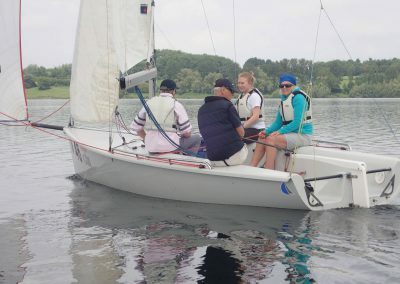 Each participant needs sensible shoes such as trainers. 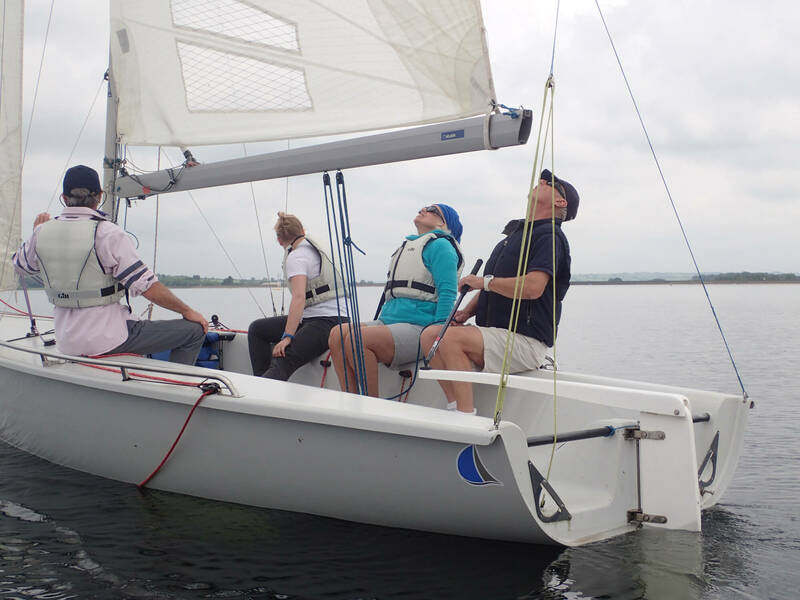 Our sailing sessions can be coupled with a meeting or land based team building event with our Venue hire and catering facilities.